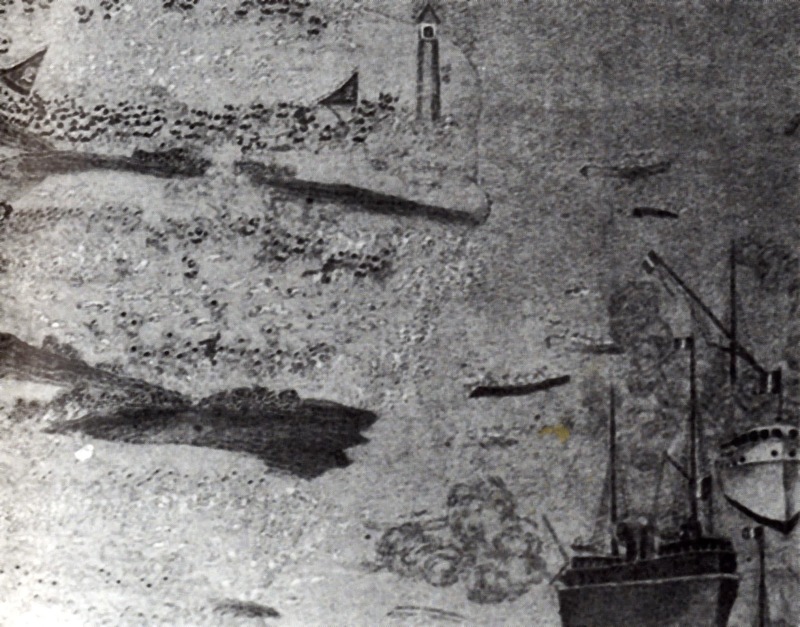 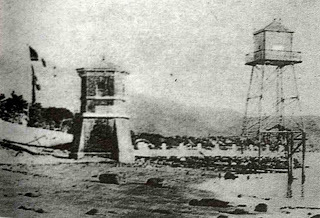 The light tower [above, top middle], used by the French as a landmark has long since disappeared. 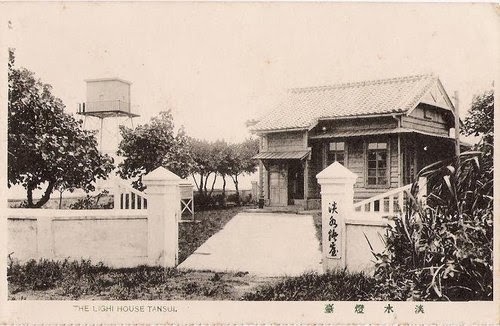 It fell into disrepair during the Japanese Colonial rule. 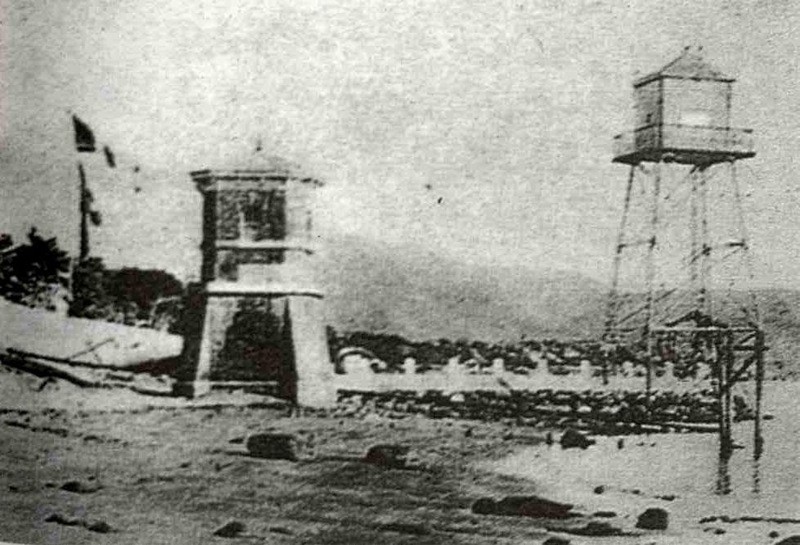 In the heydays of the Tamsui Port in the Qing era, the light tower served well but was deemed inadequate during the Japanese rule when large ocean liners visited the port, and a taller, hence more visible one was built next to it.